To be a World-Class Alumni Organization in Canada building Bond Of Friendship And Fraternity around the World and sharing knowledge and know-how to induce Change for all to Prosper Together. We intend to add value to creating a shared knowledge base from our combined experience. Develop a common resource pool that will assist us in elevating our status in Canada and help other orca members to prosper along with us. And share our successes with the Bangladeshi Community at large in Canada and in other locations around the world. And in the process have fun doing it. Honesty, Self Esteem, and Integrity. Charity and voluntarism begins at home. Self Sustenance through Regeneration Resources. 4. Our BHAGS (BIG, HAIRY, AUDACIOUS GOALS). Develop ORCA-Canada as an umbrella organization dedicated to the well-being of its members through the creation of a shared knowledge base and self sustaining development programs. Information Dissemination and Knowledge Base Management. Social and Community Development Projects. Entrepreneurial Initiatives and Funds Management. Cadets and Cadet College Services. Membership: ORCA Canada would assist new members in knowing Canada better and acquaint them with the local culture and traditions so that they can settle down and integrate with the local community better and faster. Networking: ORCA Canada will provide necessary support to its members in meeting people from other spheres of life to understand modalities of the external world that we live by and take advantage of their support in executing the norms and the needs of professional and personal lives. ORCA will sponsor other institutions and businesses who would become our preferred providers. Business Development and Performance Management. The intended database will have real-time interaction mode, whereby members from anywhere can call upon the services of other members anywhere in the world for a given purpose. Events Management: Orca Canada intends to host several community and social events for its members to participate with an aim to relaxation, recreation, rejuvenation, entertainment and education. These events may be organized in partnership with other social and/or community organizations. Voluntary and Charity Services: Orca-Canada would participate in voluntary and charity services both locally and internationally. These activities will focus on individuals or groups for the common and greater purposes of social equity, social justice, community development, support to destitute or to promote a message in the community and the societies we live in. Blood Donation, neighborhood cleanup, Food and clothes donations, and other related activities that have a direct impact on the well being of the communities that we live in. Social and Community Development Projects: Orca Canada will solicit for funds from the Government and other donor agencies to design develop and implement community development projects. These projects can be for Canada or for Bangladesh. While projects in Canada will be solely borne by ORCA Canada, projects for Bangladesh would be shared with other Chapters and the Central headquarters. Through the offices of ORCA Headquarters and other Chapters, ORCA Canada will work diligently, in the designs, development and implementation of these national projects. Entrepreneurial Initiatives and Funds Management: ORCA Canada will develop and manage its funds using modern and proven methods of Funds Management and will regenerate funds so that ORCA Canada can depend on its own to fund its activities. In doing so, ORCA Canada will invest its funds into viable businesses that would bring revenues to augment the Charity and other related activities of the Organization. Cadets and Cadet College Services: Orca Canada, in coordination with the Headquarters and other Chapters will provide support to RCC in elevating their quality of education and lives and in preparing them for the real world activities so that they can become world class performers in the areas of their interest. 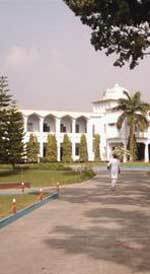 The name of the organization is "Old Rajshahi Cadets Association, Canada (ORCA-Canada). duly incorporated federally as a Canadian not for profit organization. ORCA-CANADA shall function as a local chapter of ORCA and shall follow the Constitution of ORCA in principle and ORCA-CANADA Chapter�s By-Laws for its day-to-day function. This set of ORCA-CANADA Chapter By-Laws shall be supplement to the ORCA Constitution. Any article in the By-Laws shall supersede the relevant article of the ORCA Constitution. ORCA-CANADA shall identify, sponsor and fund human development, social and community development projects in North America or in Bangladesh and will work closely with other chapters. Primary Membership in ORCA-CANADA is open to a former cadet of Rajshahi Cadet College who is living or studying in Canada or living abroad but are Citizens or Permanent Residents of Canada. Voting Membership in ORCA-CANADA Chapter shall be limited only to ORCA Canada primary members who have paid the dues as specified by the Executive Committee (EC). Associate Membership in ORCA-CANADA shall be open to the spouses and children of the primary members and former Teachers of Rajshahi Cadet College and their family members living in Canada, however, they will not have any voting right. Honorary Membership: Orca Canada EC may, at their discretion, invite influential members of the Canadian or Bangladeshi community or of any other communities that might broaden the domain of influence or can create opportunities for the fellow brethren of ORCA or that of Bangladesh. Multiple Memberships: No ex cadet shall be allowed to carry multiple memberships in different Chapters. Any member may withdraw his/her membership only through written notice to the Executive Committee. Any member may be removed or expelled only by a decision of the General Meeting on grounds contravening the organization or discipline or any other ground which the meeting decides reasonable. The annual membership dues for primary membership shall be reviewed and determined as deemed necessary by the Executive Committee. Paying the membership dues by the due date will constitute the Membership Application and shall automatically make the applicant dues paid member of ORCA-CANADA Chapter. ORCA Canada believes in the segregation of policy directions and executive activities as separate functional entities, the structures defined henceforth, is an intended objective for ORCA Canada to follow once the organization has matured enough. In the interim, Orca-Canada however, will be governed by the Executive Committee assuming full powers of the Steering Committee and may at their discretion appoint any special task forces and/or advisory committee to undertake any special events or ad hoc responsibilities. The members shall be only members in the organization, and ORCA-CANADA Chapter shall solely own any business(s), all company assets, liabilities, and financial certificates. The organization shall be registered in the name of ORCA-CANADA. The organization �ORCA-CANADA� was formed on the 15th of September, 2005. The Steering Committee will have 4 members elected by the general members and the President of the Executive Committee becomes an automatic member by virtue of his position. The Steering Committee along with the President of the EC will then elect a Chairman for a term of two years.. The EC shall consist of five (5) members as follows and shall be directly elected by the voting members for a two-year term. Their election shall be validated and communicated to all the members in writing or by email or through web posting by the Election Commission. The term for the EC shall commence on July 1 of the election year and end on June 30 of the second year. Executive Committee shall remain accountable to the Steering Committee for their actions and would report to the Steering Committee on a monthly basis about the progress made and critical issues facing the organization. The Steering Committee will be responsible for policy compliance with the Head Quarters. The EC shall be responsible for the day-to-day operation of the organization and shall appoint as and when necessary one or more task forces from among the general members to accomplish any ad hoc tasks assigned by the Steering Committee. The EC shall meet at least once every three month in person or by phone or net meeting. The EC shall be elected for one two-year term. The EC shall render voluntary services. All EC members must reside in Canada. The Executive head of the organization. He shall preside over the meetings of the EC and the General Committee. He shall call the special general meeting. He shall be one of the signatories for the operation of all bank accounts. A member cannot be elected a President for more than two consecutive terms. The Vice-President will cooperate and help the President to perform all duties. In the absence of the President or sickness, the Vice president will conduct the meetings. In the absence of Vice President and President, the EC will re-elect the positions. A member cannot be elected a Vice President for more than two consecutive terms. General Secretary is the Chief operating arm of the organization and presides over all operating principles and procedures. Reporting to the President, GS keeps the Team informed of the developments and puts the tactical plan in place to achieve the set targets. He shall call meetings of the EC. A member cannot be elected a GS for more than two consecutive terms. The General Secretary shall approve the membership application. He shall call the General Meetings and be responsible for preparation and presentation of reports to the Steering Committee. He shall maintain and send the minutes of all EC or General meetings to all general members within two (2) weeks from the date of such meeting. Reporting to the GS, OMS, would be responsible for the organizational development and creating the infrastructure in line with the organizational direction set by the Steering Committee. OMS will ensure that ORCA-Canada�s development architecture is in line with that of the Central HQ vision and also will liaise with other Chapters. OMS will also be creative enough to initiate the special events to achieve the intended long-term objectives. OMS will develop the Operating Principles of the Knowledge Base Canada and liaise with other Chapters and with the central HQ to developing a Central Knowledge base. The incumbent will also be responsible for the design and development of the detailed architecture of the knowledgebase and implement the architecture as well. He shall be the Treasurer of the Organization and shall be responsible to organize and collect all application fees and other payments and keep all accounts. He shall deposit money and checks to the bank account and reimburse money as per direction of the EC. He shall be responsible to organize fund raising at the discretion of the EC and operate and promote fund raising. A member cannot be elected a Treasurer for more than two consecutive terms. He is a signatory of the bank accounts. There should be a petition signed by at least 15 primary members to initiate any constitutional change. The petition will articulate the rationale for change and elaborate on the positive impacts of the change in tangible terms that would add value to ORCA Canada�s objective and that of ORCA�s mandate as well. The petition will be submitted to the Steering Committee for deliberations. Steering Committee and the Executive Committee will sit in a joint session to discuss the petition along with a minimum of the representatives from the Petitioners. Having completed the discussion, EC will call for convening a general meeting and put the petition to a vote of the general members. The voting will be organized by the Organizational Management Secretary under the auspices of the Steering Committee. A quorum will be required to be able to vote in the General Meeting and can only be passed by a two thirds majority of the general members. Once passed, the Organization Secretary will make necessary changes to the Constitution and generate the new version for commissioning. Should the petition fail, the Organizational Management Secretary will document the results and the deliberations and attach the proceedings to the Constitution under the constitutional Amendment section as an attachment. In absence of any member of the EC, the President of the organization shall be responsible for the execution of the absent member�s function through nominating/co-opting a general member and delegating the responsibilities. In case of any shortage of fund, the EC shall raise additional funds from the members or other sources, as when necessary. All members shall pay yearly dues for the next 12 months in January every year. Orca-Canada will raise funds from both internal and external sources to execute the scheduled tasks and the mandate set for the organization by the Steering Committee. Members may pay any donation at any time of the year and may designate the use of the donation for any specific cause or project. If not mentioned, the EC shall use the donations as deemed necessary. The Treasurer shall organize the fund and deposit immediately to the respective bank accounts. Election of Officers: The Chairman of the Steering Committee shall dissolve the EC and SC by 30th of June every election year; new SC and EC members shall be elected in the month of May every election year prior to or during the Annual General Meeting, and their election shall be validated, ratified, and recorded in writing in the Annual General Meeting of that year. The SC and EC shall take over by the 1st of July every election year. The SC shall appoint a 3-member Election Commission for the sole purpose of conducting the election of the EC in any election year and shall appoint the Chief Election Commissioner from among the three members. The EC shall appoint the Election Commission not less than one month and not more than three months prior to the election. The Election Commission members will not be eligible to participate in the election for any SC or EC positions, nor shall they directly or indirectly campaign on behalf of any candidate after the list of candidates are announced. The Election Commission members shall cast their votes in favor of any candidate of their choice. The Election Commission shall notify all the voting members of the voting procedure and publish the election procedure on the ORCA-CANADA website prior to the election and shall conduct the election as per the published election procedure. The Election Commission�s verdict as regards to the eligibility and election of the EC members shall be deemed final. Any grievance arising from the election shall be automatically referred to the General Meeting for resolution. Any eligible member may seek or nominate another eligible member for an elected position of the Steering and the Executive Committee by submitting the information electronically or in writing to the Election Commissioner. The information must be received by the Election Commissioner by the due date published by the Election Commission and shall contain the following information for both the Nominee and the Nominator (if different). Name, Cadet No., and Batch No. Mailing Address, email and contact phone number. After verifying eligibility (eligible membership list and contacting the candidates) of the candidates, the Election Commission will publish the list of all the eligible candidates to all eligible voters and notify the candidates. The quorum for any SC and EC meeting shall be at least three (3) in person or by phone. The quorum for any General Meeting shall be more than 10 (ten) members or more in person as long as the meeting notices were published as required in Article 7A(V)). The subsequent withdrawal of any member from the meeting, after the commencement of the meeting, or the refusal of any member represented in person shall have no effect on the existence of a quorum, after a quorum has been established at such meeting. All members shall be required to render voluntary services as and when deemed necessary by the EC. Due considerations shall be given to the availability and other obligations and responsibilities of the member(s). The EC shall have the right to request any member for such voluntary services, when necessity arises.